"Outstanding service, creativity and execution. Nicely done on all areas of the campaigns." "Beautifully done submission. A true testament to the creativity of volunteerism to effect change. Bravo!" Serving as the GFAF’s Public Service Director, Lisa proudly accepted this prestigious award on behalf of the GFAF, the board, its members and most notably, the non-profits that Lisa and her Public Service Committee served this past year. These organizations included: Tails of Hope Sanctuary, Mission of Mercy, Hope Alive, Team Hope for Susan G. Komen for the Cure, and the year-long campaign, AnySoldier.com Care Packages. For Lisa’s tireless efforts throughout the 2009/10 year, the awarded grant money will be put towards GFAF’s 2010/11 public service efforts. Lisa (center) is congratulated on her public service work by AAF’s President and CEO, James Datri (right). JPD Designer Lisa Gorham discusses her work on the new website for The National Museum of Civil War Medicine. JPD Designer Erin Tinney discusses her work on the new mutli lingual packaging for Bio Electronics Product ActiPatch. 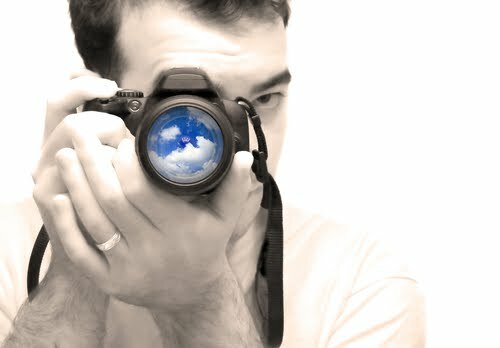 In a perfect world—with all of the time, talent, and money you desire—you’d art direct and shoot your own photography for your next ad campaign, your new website, or even today’s blog entry. In most cases (and budgets), that’s not a reality. And when it’s not and you need photography, your next step is to determine how to legally obtain and use stock imagery. HOPEFULLY you know it’s not as easy as right-clicking on some image you come across on the internet and selecting “save as”—or dragging and dropping the picture if you’re on a Mac. Someone else owns the rights to that image and it’s not yours to use as you please just because it appears on the world wide web. There are rules to be followed! …But, don’t panic! First, determine how you will be using the photo… How many times will it be printed? Where is it going to appear? Will the image appear on a product that is intended to be distributed/sold? How large does the photograph need to be? Are you concerned that a competitor could use the same image you’ve chosen? Answering some of these simple questions will help you choose whether you’ll need, a Rights Managed vs. Royalty Free photo, or Standard vs. Extended License for your stock image needs. The use of stock photography has become a convenient, budget-friendly go-to for designers, advertisers, and marketers of all types—especially with the accessibility and affordability of popular royalty-free sites offering subscription-based or pay-as-you-go options for downloading what you need. There’s a pretty good chance you’ll find what you’re looking for with the ability to search by keyword, orientation, color, etc. And, on some sites you can even download illustrations, videos, and sound clips. The downside to royalty-free sites is that someone else may very well like the same image as much as you, and choose to download it for their own use. If that is a concern, although it will be more expensive, you may want to investigate a rights managed image. As with most things in life, you get what you pay for. Yes there are tons of resources online that direct you to free stock photography sites. While that may suite your needs, be sure to read and understand the specifics. There are Pitfalls to Avoid When Using Stock Photography. And at the end of the day, if you are still unsure or confused, utilize the support contact that is generally in the footer of every website. That’s what it’s there for! Our first guest blogger post! 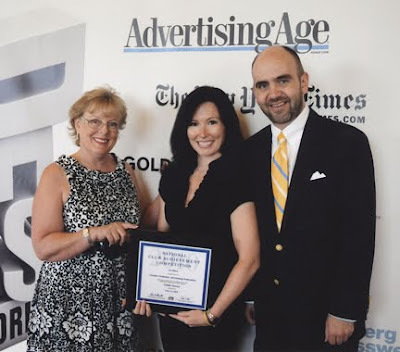 Beth Schillaci, owner of Village Works, who's business focus is providing strategy, execution and training for social networking, has been my go to gal as JPD has entered into the world of social media marketing. Beth keeps her own blog Marketing Roadhouse. 1. Put your head in the sand and keep thinking social media will go away. 2. Begin the journey to integrate social media into your marketing plan and engage. 3. Sit on the sidelines, but be an active listener. Today I'm going to talk about option 3 and more specifically the active listening part. Social media is not the right approach for every company due to a number of reasons including lack of resources. It may also be because of a fear of the two-way conversation. I totally understand that, social media requires a major shift in company culture and thinking, as well as a perceived loss of control of your marketing message. Lean in close now, and I'll tell you the secret that you need to know, just because you are not talking to people through social media doesn't mean they aren't talking about you. That's right, even if you don't want to be involved in the conversation, the conversation still exists and could very well include you, your competition and your industry. Wouldn't you want to know what public perception of your company and product is? Who wouldn't want free market research? I see it every day on Twitter and specifically in Frederick, people talking about local businesses in both positive and negative light who have no clue it is taking place. Imagine if you were able to listen in on those conversations and getting your own focus group. The good news is you can easily tap into these conversations and leverage them to your advantage. You can use free tools such as Google Alerts and Twitter Search, or more sophisticated paid services. 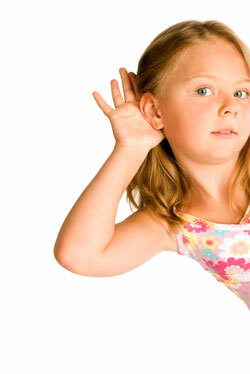 By creating your listening post, you can take a pulse on what the public is feeling and even saying. You can use this information to improve customer service, alter your marketing material, gain a competitive advantage and even learn how to improve your product or service. This information could provide you with information into your strengths and weaknesses. You may find from just listening (which is the first step in any social media strategy) that you are ready to jump into social media. You may have found some great opportunities to take advantage of by engaging champions of your brand as well as some threats to your brand that you had no idea existed. I feel strongly that knowing where you stand with your audience is the most important thing, even if you have some work to do to improve your position. If you aren't quite ready to take the journey into social media marketing, take the first step by becoming a good listener. 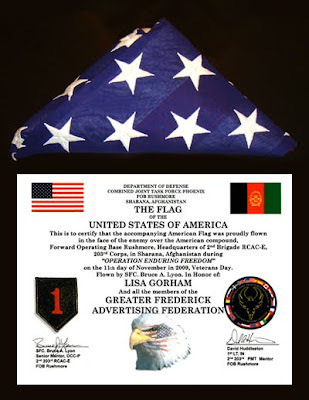 As part of Lisa’s work as GFAF Public Service Chair she has directed several campaigns including the successful Troops Care Package–AnySoldier.com campaign. This year-long mission has so far seen 110 care packages delivered overseas to US troops who have registered with the AnySoldier.com program. Not only has this campaign been a success because of the generosity of the GFAF members, but also due to the compassionate Frederick community who fill these packages with comforts-of-home donations. Lisa and the GFAF have received countless letters and cards from servicemen and women with messages of deep gratitude for the thoughtfulness of the “people back home”. One of the campaign’s recipients, SGT. Bruce Lyon of the US Army, who honored Lisa and the GFAF’s hard work with this incredible honor, was stationed in Afghanistan for a better part of 2009 before completing his final tour this past January. The GFAF Troops care package campaign will continue to compile and ship care packages overseas throughout 2010. Donations from the public are welcome. Please contact Lisa Gorham at lisa@jeanpetersondesign.com for more information. This is a Test for auto-publishing to Facebook. A behind the scenes look at JPD Designer Lisa Gorham recording a Public Service Announcement for the Tails of Hope Sanctuary 2010 Day Planner Fundraiser at Key 103 Radio Station. Go to http://www.tails-of-hope.org/ to get your planner today! JPD Designer Lisa Gorham discusses her work on the Destination Frederick County Visitors Guide!